Zwaluw Hybriseal® Façade was specifically developed as a universal sealant for sealing construction and dilatation joints and joints in pedestrian walkways on most common building materials such as concrete, brickwork, painted wood, enamel, aluminium, stainless steel and a variety of plastics. Before applying your sealant, ensure the surface is clean and dust free. Gun sealant firmly into joint ensuring no air is trapped behind. If required place masking tape along joint edges, removing within 10 minutes of application. All goods are delivered on a 1-2 Working Day Service, for delivery to other locations request a quotation. Delivery will be between the hours of 7am and 8pm; buyers using the courier service will receive a text message or email informing them of their delivery timeslot (subject to availability in their area). Delivery can be to any address, as long the address at which your payment card is registered is also present on your order. All deliveries must be signed for, if the buyer requests the item(s) to be left in a designated safeplace Ideal Chemical Products Ltd (IdealSealants.com) will not be liable for any loss or theft of the item(s) once it has been delivered. Please make sure you keep the receipt enclosed with your goods. All delivery timescales are subject to product and delivery slot availability. Delivery timescale can be found at the checkout. However whilst every reasonable effort shall be made to keep to any delivery date, time of delivery shall not be of the essence and Ideal Chemical Products Online (IdealSealants.com) shall not be liable for any losses, costs, damages or expenses incurred by the customer or any other person or company arising directly or indirectly out of any failure to meet any estimated delivery date. The risk in the goods shall pass from the company to the customer upon delivery of such goods to the customer. 1.1 You may cancel your order by giving us notice of cancellation within 30 days of the date of delivery to you. Such notice may be given by phone, mail, fax or email. If you are cancelling because of any problem with the goods, please notify us of the problem at the time of cancellation. 1.4 Where the sale is Business to Business we reserve the right to charge a 25% restocking fee plus the original cost of carriage. 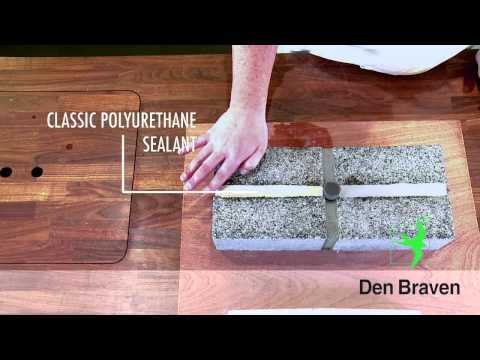 Copyright © 2019 Ideal Sealants.